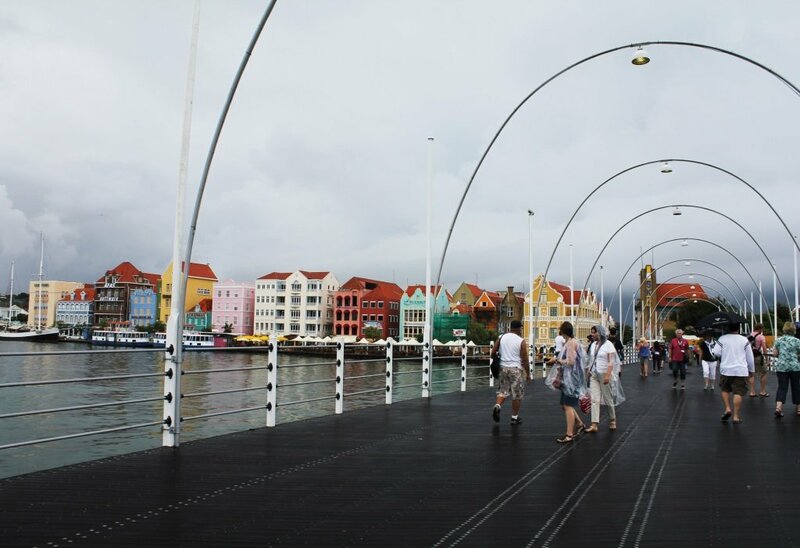 This colorful capital has an architecture which looks like Amsterdam. 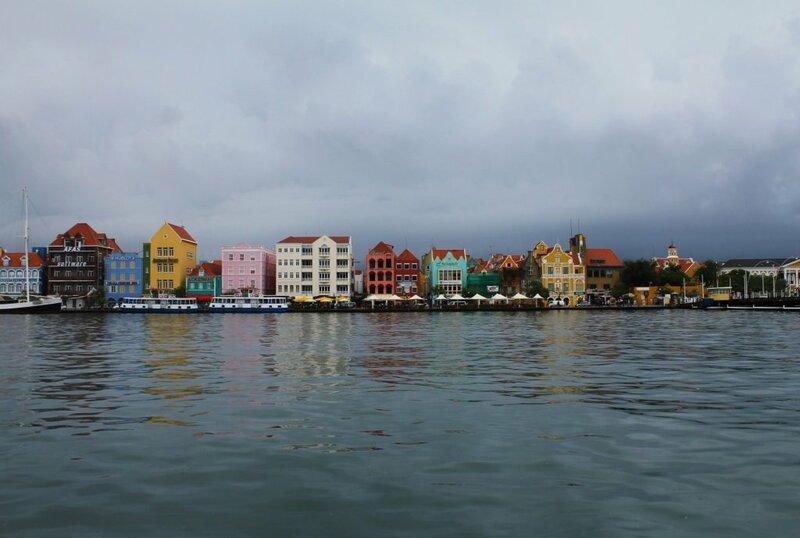 Only the different colors of the houses states we are in the Caribbean. 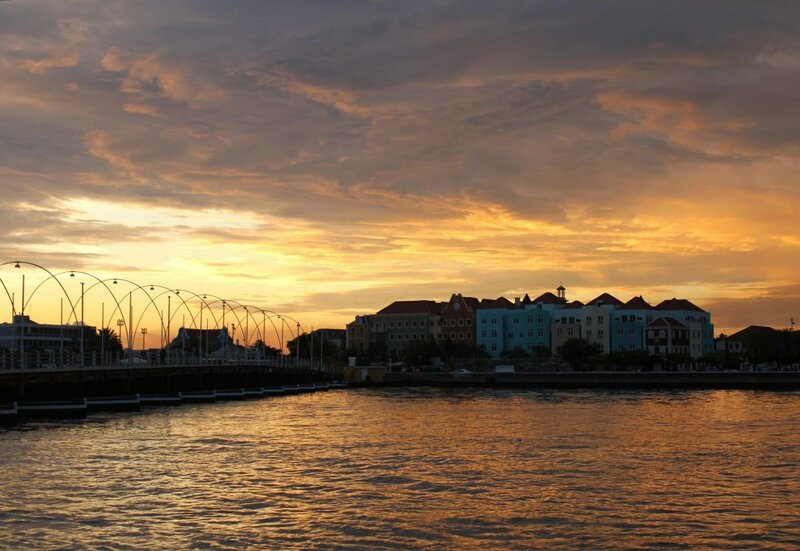 The Pontjes brug (or Queen Emma bridge) is the most famous in its kind. To let the ships pass, the bridge will float away from the edge and let the boats pass. An alarm will ring when you have to leave the bridge to let boats pass. The trade embankment (Handelskade) is famous for the nice buildings and colors. At night is really lively here with music and restaurants. If you have a rainy day like we had you can visit the museum Kura Hollanda. 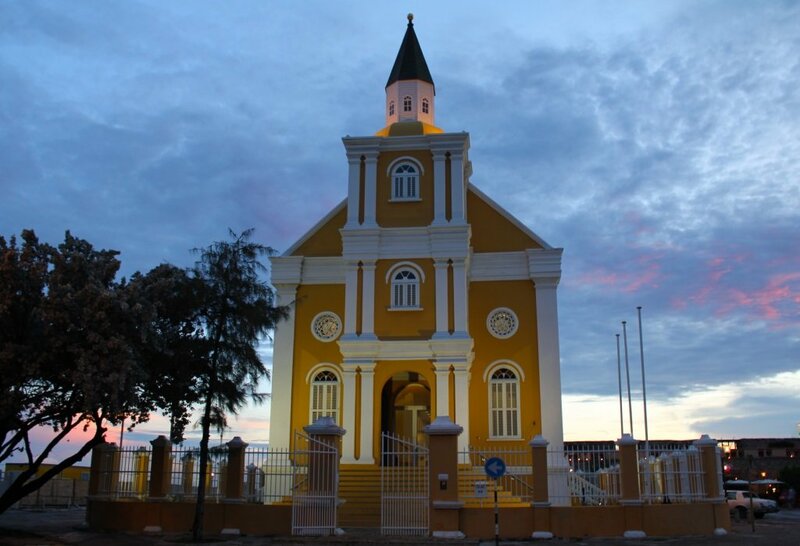 This museum tells about the tragic history of the island and its trading slavery. Some other pieces contain like model scale boats from the 18th century. Really interesting! Who doesn’t know the famous Mambo beach? 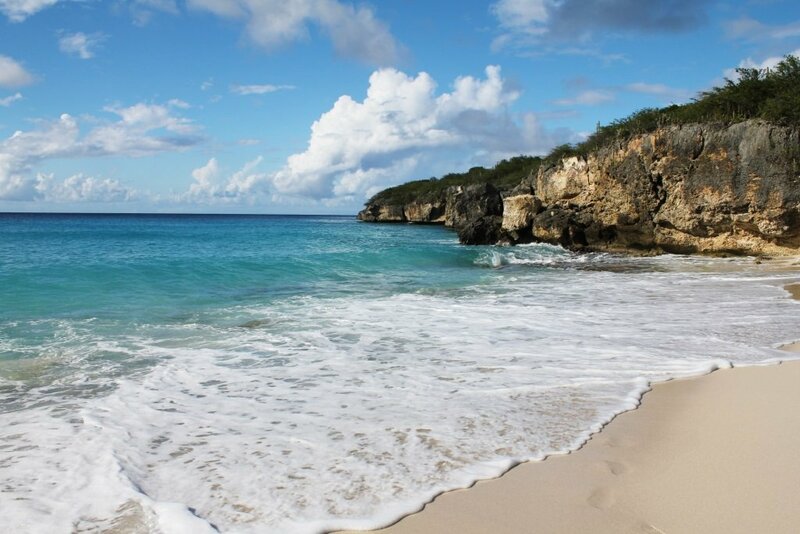 If you book a package tour from your home country you’ll likely stay on or around this beach. Most hotels are concentrated around this area. The hotels are luxury and all have their private beach. As a tourist coming from another hotel, you can settle yourself on the beach. You’ll have to pay an entrance fee, but most of the time you’ll get a voucher for free entrance at your hotel. For an umbrella and a chair you have to pay a fee. At night this beach turns into a lively clubbing area with bars and restaurants. 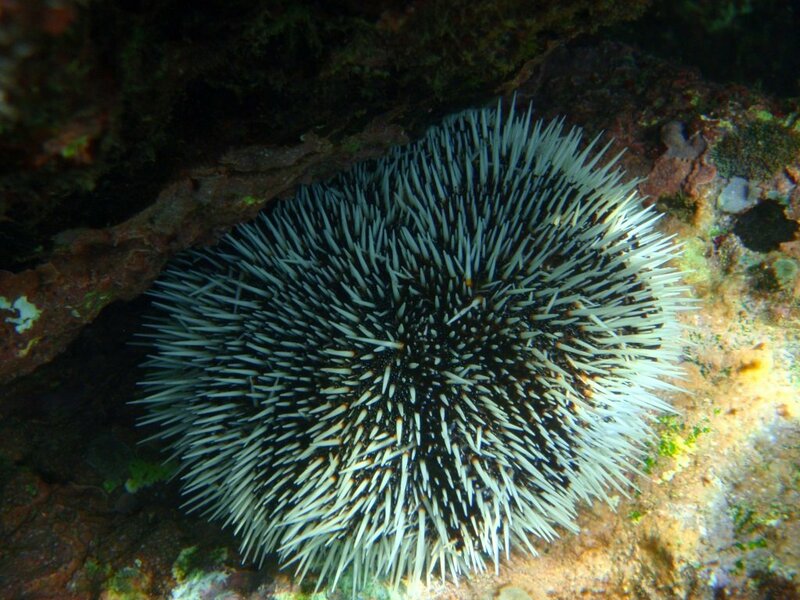 We mostly spend our time around Lion’s dive resort. We didn’t pay extra for the chairs, just used our towels instead. It is a lovely beach to relax, so just sit back and enjoy! 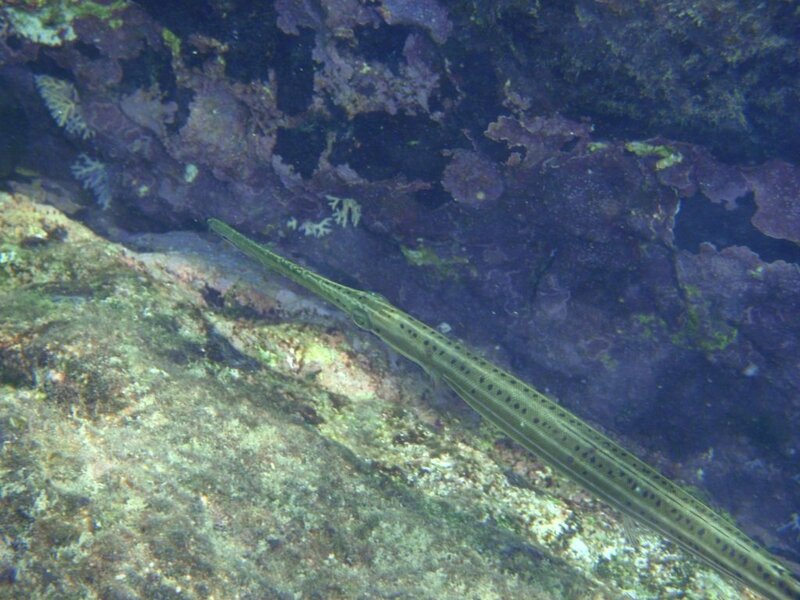 From the beach you can go snorkeling. 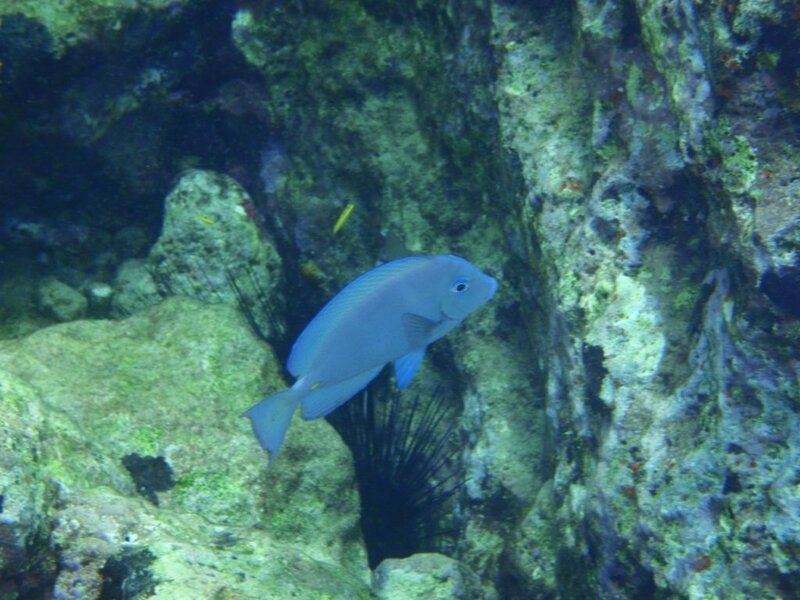 We snorkel around the rocks nearby, which have some nice fishes. Because of the rainfalls, the water wasn’t too clear. 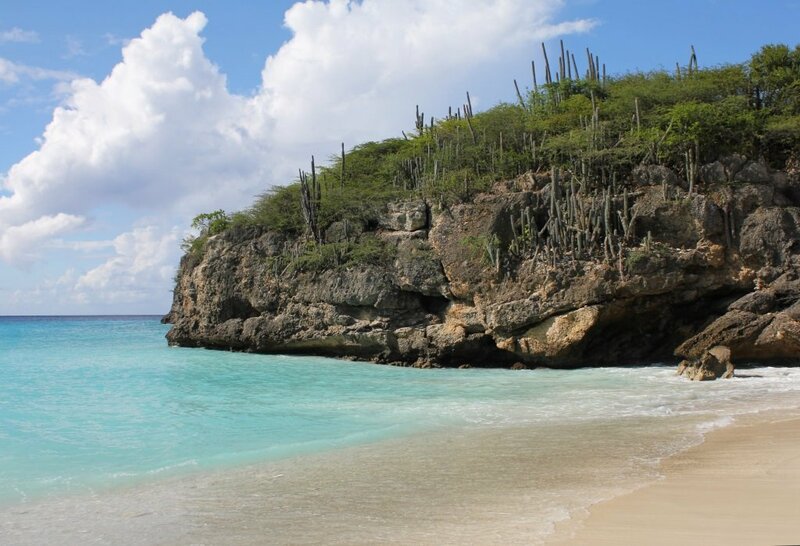 Grote Knip is a large beach at the Western part of Curacao. Locals call this beach Playa Abou, which means beach at the valley. 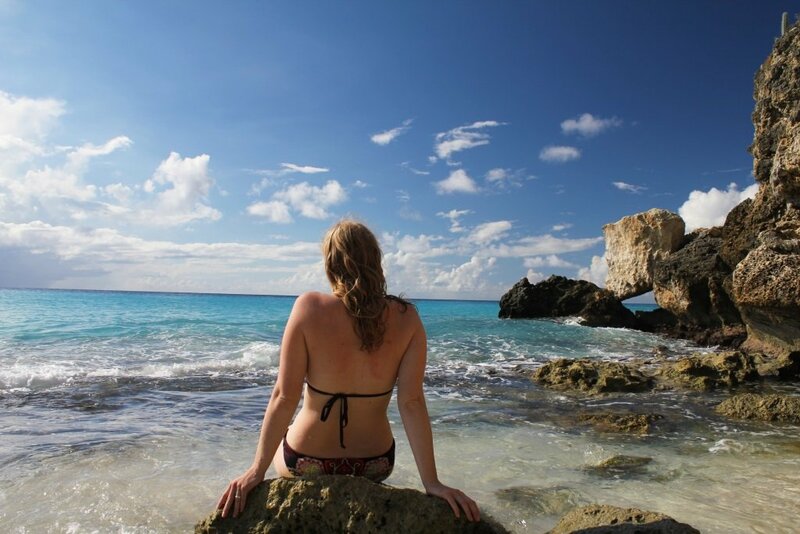 I think this beach is a famous beach of Curacao. The viewpoint from where you’ll take the picture is just stunning. The beach is beautiful white, with a turquoise sea. The beach is settled between two steep rocks. You can park your car at the parking lot. The entrance is free, but make sure your car is locked and nothing is in sight! With the stairs you can walk down to the beach. There are not many facilities. Only one restaurant and there are some benches with umbrella’s. Kleine Knip beach is the smaller sister of the Grote Knip beach. Locals call this beach Playa Kenepa Chiki. 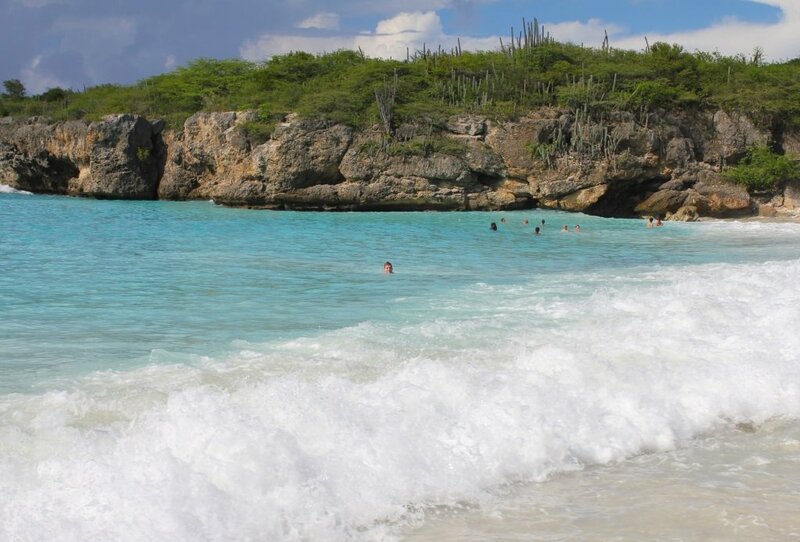 This beach is also settled at the Western part of Curacao and you can easily reach it with a car. You can park your car at the parking lot, right after the parking lot the beach begins. There are not many facilities, only a small restaurant and there are some benches. The beach has soft, white sand. It is settled between 2 steep rocks, so the sea is relatively calm at most of the times. 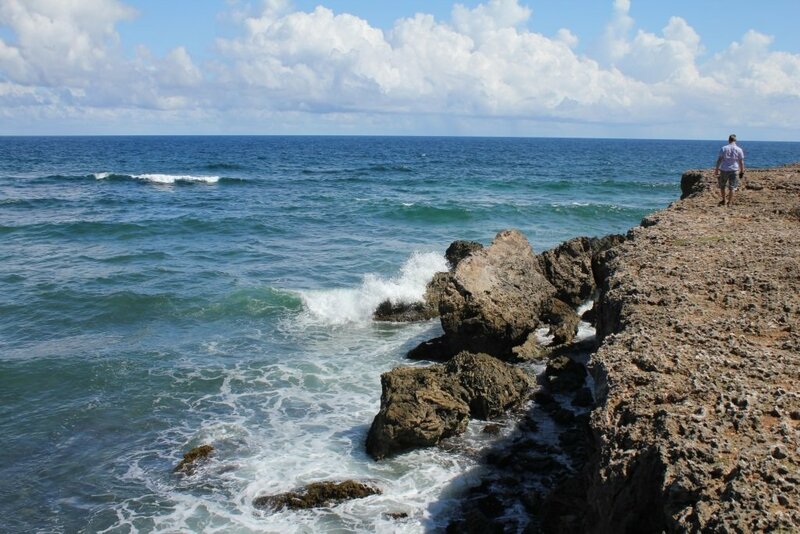 You can go snorkeling along these rocks where you can find fishes and some corals. Unfortunately the water was a bit murkily due to the heavy rainfalls in the past few days. 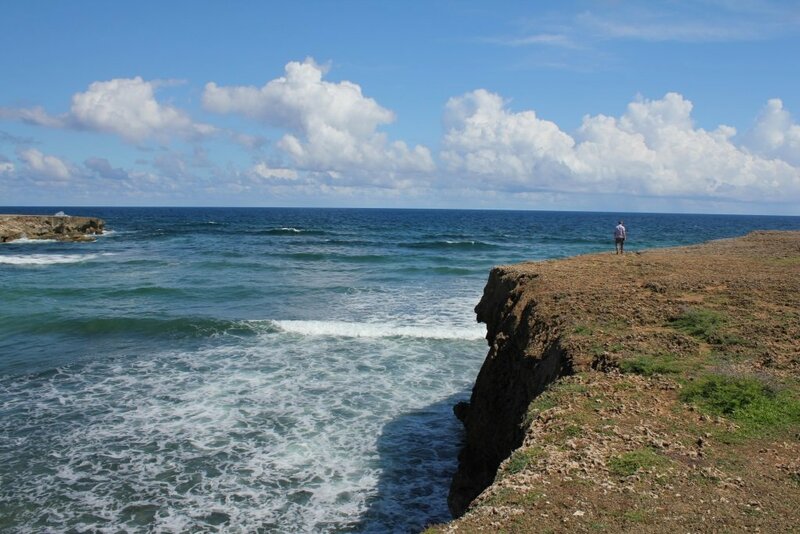 Boca Ascencion is a nature reserve where you can hike at some trails. 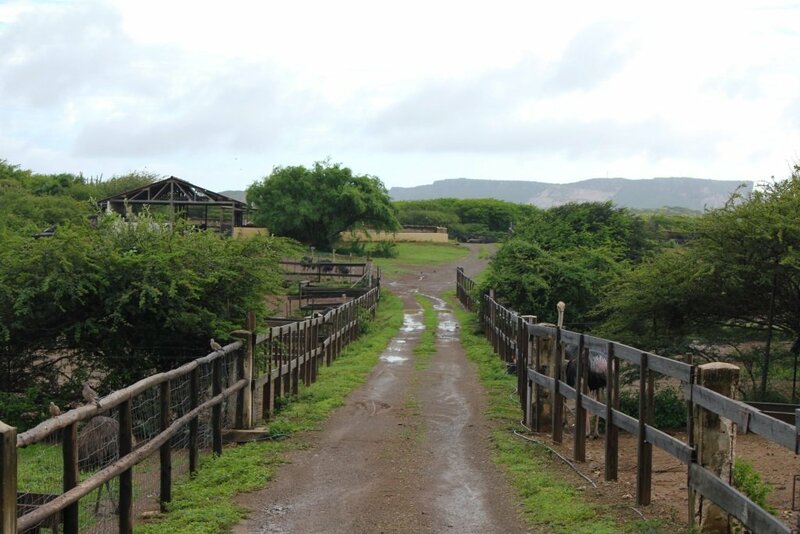 If you’re coming from Willemstad, you can take the dirt road on your right before the Plantation house. At the end of the road, there is a small parking lot. We followed the hiking path which is next to the sea. The pad is going up the rocks. 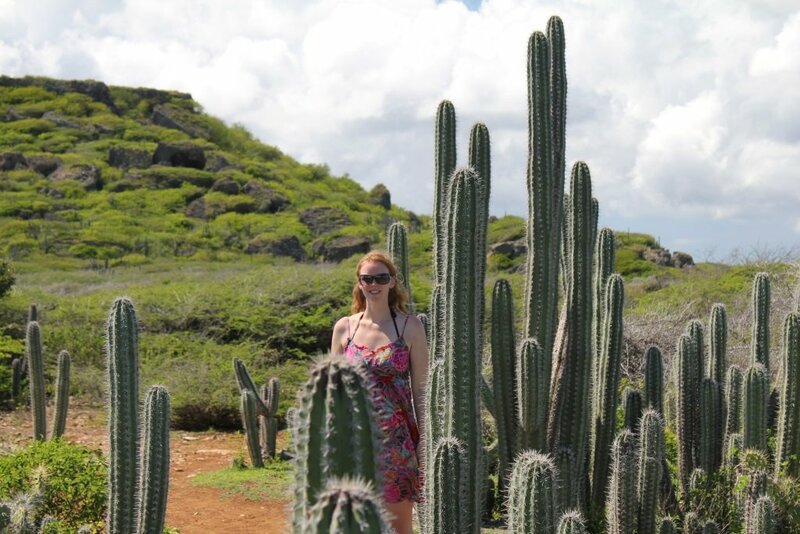 The fields which you pass are filled with meters high cactus plants! 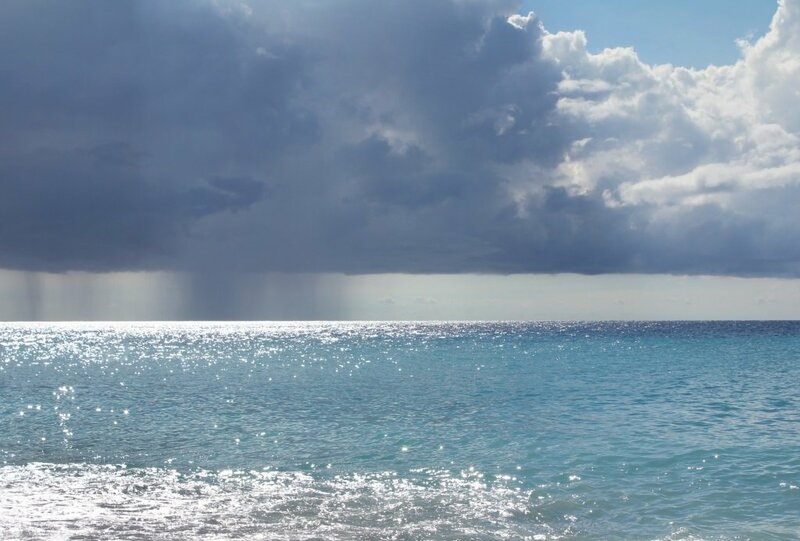 All the time you’ll have the view over the sea on your left. Don’t forget to look often down, turtles have been spotted here frequently! Unfortunately we didn’t see any, but maybe you are lucky enough! 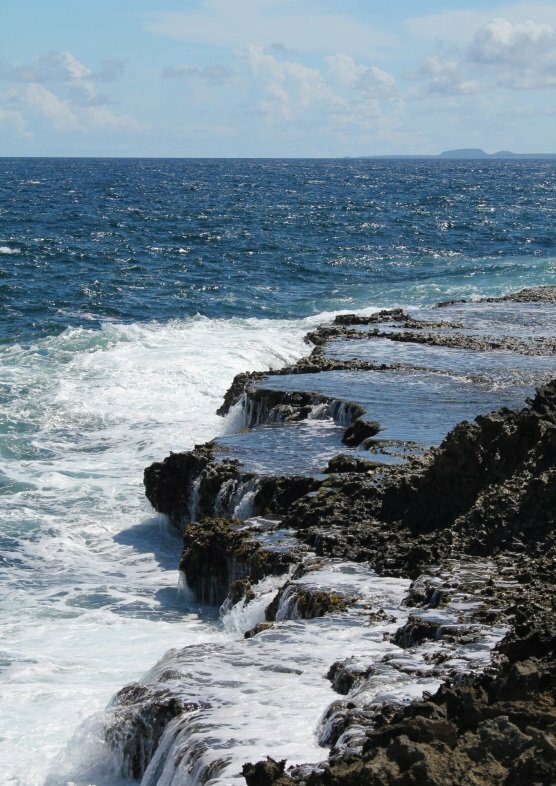 On top of the rocks you can follow the edges which gives you spectacular views over the rocks and the waves braking and slashing on the steep rocks. I’m not sure if the hikes continues from here or where to it continues. We found the views enough for our satisfaction so we returned to our car. I loved the viewpoints from the top of the rocks and the huge cactus plants where just amazing to walk in-between. 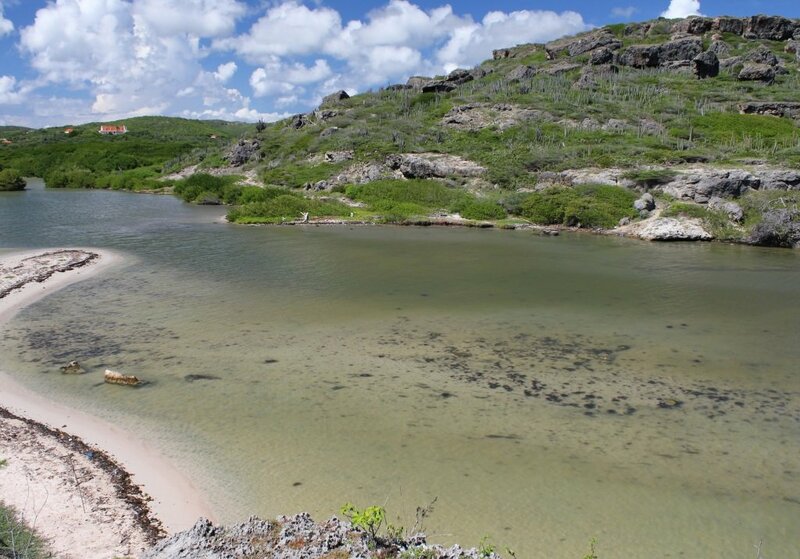 National park Boka is a protected nature where sea turtles come to lay there eggs at the bays. 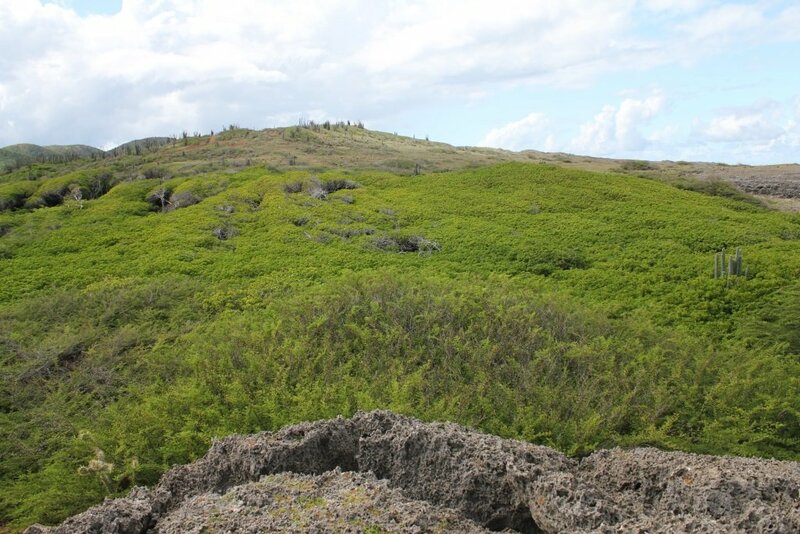 The park contains about 10 kilometer rough North coasts with about 10 bays. The area is connected to the Christoffel national park. When you arrive with the car you can park, your car at the parking lot. Here you’ll have to pay a fee. From here you have to walk to the most famous bays like Boka Table and Boka Pistol. The trails are easy to follow and ar signed. 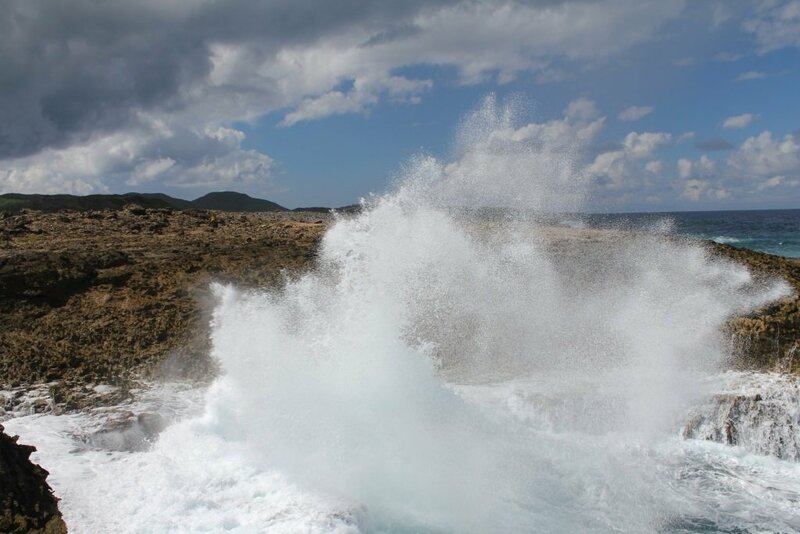 Boka Table and Boka Pistol are famous because of the waves braking on the steep rocks. 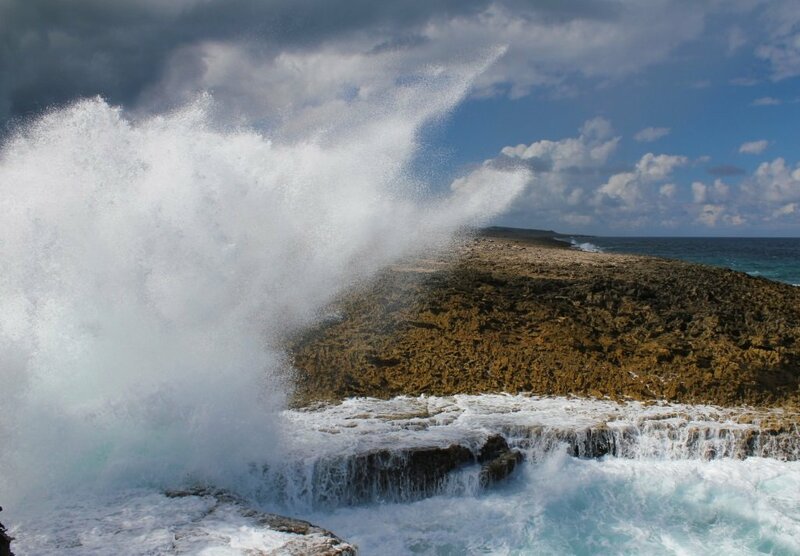 They give high splashes of water and Boka Pistol is named this way because when the wave is splaying on the rock it gives a sound like a pistol shot! 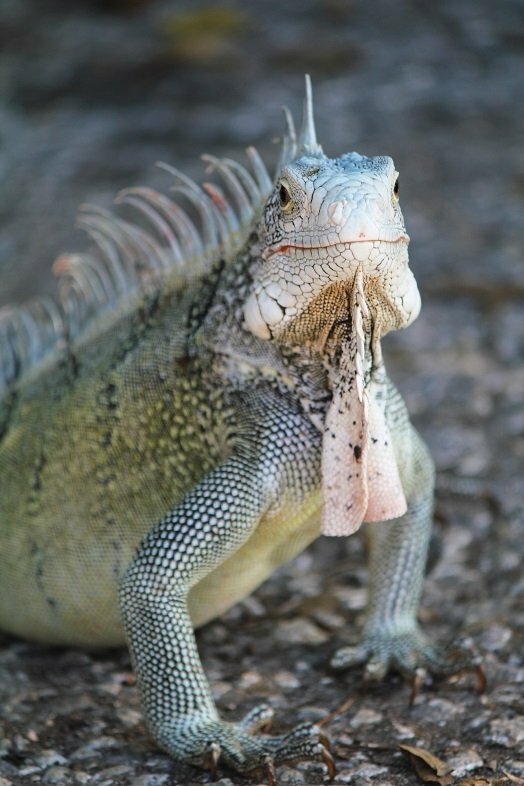 The area is rough and it looks much different from the white sand beaches which you can find all over the island Curacao. 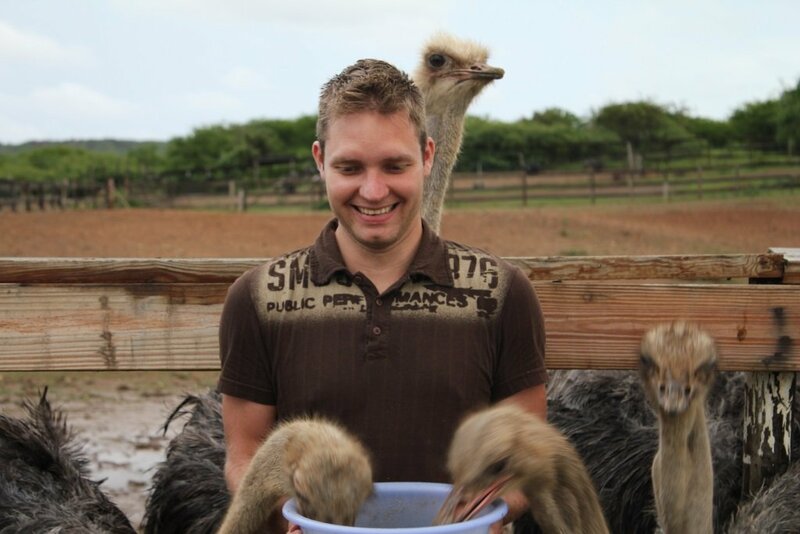 Close to Willemstad you’ll find an ostrich farm. When Timo and I went for a visit, we were a bit skeptic. It was raining that day and we figured this would probably entertain us more like the beaches on that day. So we went for it and payed for a safari tour. This is a guided tour around the farm. The guide explains about the cycles of life of the big birds. And if you want you can pay extra to trying ride an ostrich. We skipped that one. You can feed the birds which is really funny to do. At the end of the tour you finish at the restaurant. 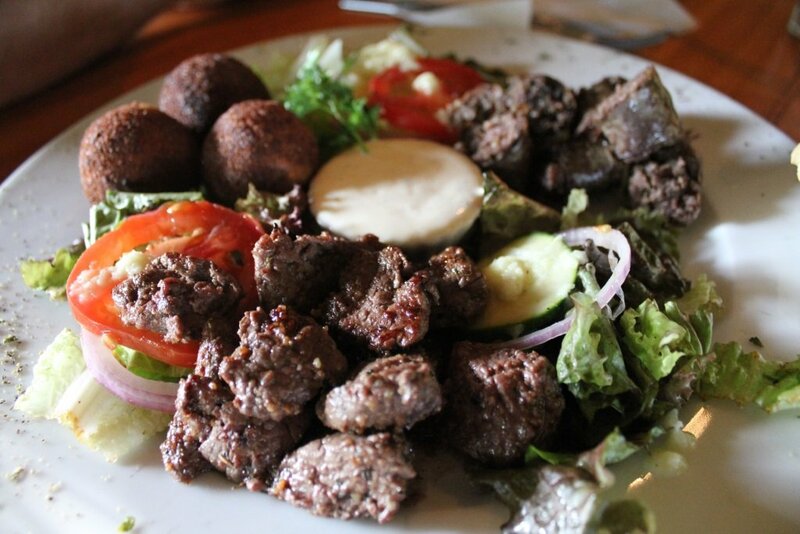 If you want, you can order a meal with of course ostrich meat. We tried a mixed plate, which was really lovely! I think when you have children, they would love to go here! 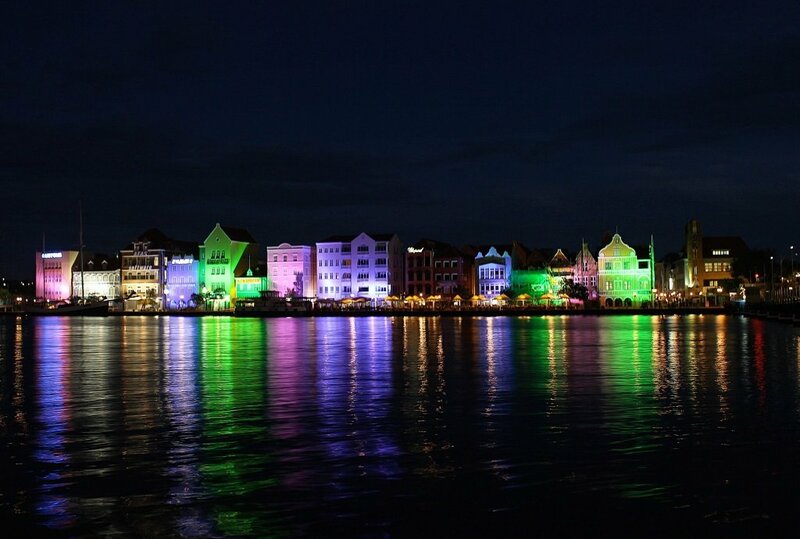 Read more about Curacao in this blog.